It’s easy for me to get discouraged when I’m doing something new and old problems, issues and even some old people seem to pop up in the midst of my new stuff. It’s just like weeds popping up in my yard in the same places that I’ve evicted them no too long ago. The truth is I evicted them but I couldn’t eradicate them. I worked hard to get rid of the weeds and grass from my new rose bed. I dug, pulled and trenched around the new bed so I could remove the unwanted stuff and keep it out. Unfortunately, after a heavy rain, the weeds are back and the grass is trying to return to where it used to live. I was feeling sad, frustrated, let down and discouraged. All my heard work down the drain, then, I resigned myself to the truth; this is going to be an ongoing battle, not a one time effort. So, I went out, grabbed my garden tools and headed to the yard. This means war!!! The same scenario is true when we start obeying God and begin to live our lives according to His will. We dig up doubt, fear, concerns about money, unforgiveness, past pains and disappointments. We dig up the pain of hurt feelings, envy and jealousy, guilt and shame. We pull them out, remove and evict them from the soil of our hearts with fasting, prayer, reading and studying God’s Word. We think we’re good, and then one day something or someone sends rain on our lives. Before we know it, we are battling the same weeds we removed from our lives because we evicted them but did not eradicate them. We must resign ourselves to this truth: This is a never-ending battle! We will continue to contend with fear, doubt, guilt, shame, etc. as long as we live in these bodies. 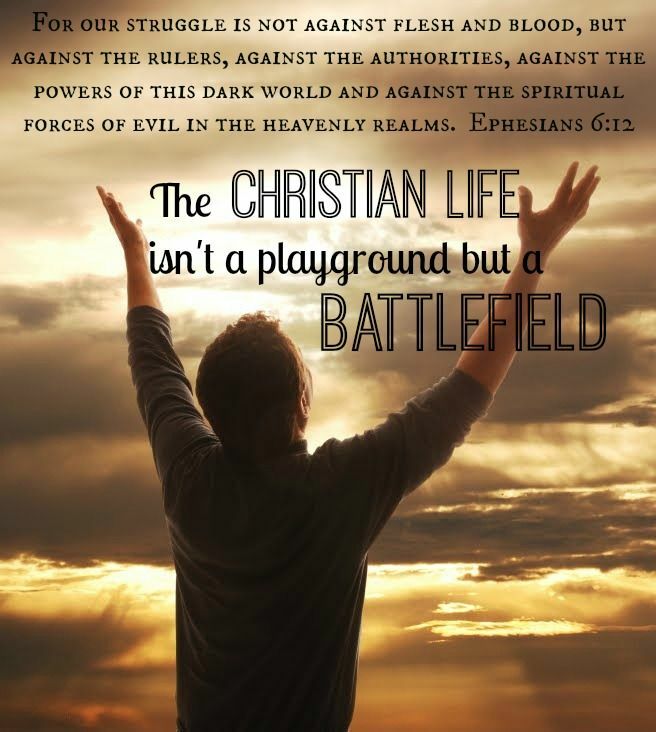 The good news is we have already won the war through our relationship with Jesus Christ. So grab your spiritual gardening tools; your Bible, your favorite Christian authors’ books and Bible studies. Turn down your plate or, turn off the television or your computer and get to work clearing out those weeds. This means war!! !